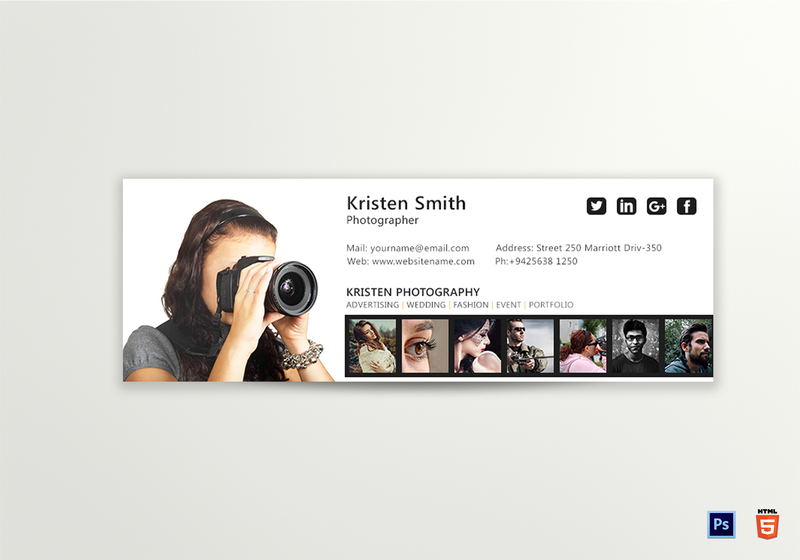 A preview of your work can be easily provided for in the Photographer Email Signature Template. Its layouts are fully customizable, with high quality photos already included. The standard fonts are just as pleasing to the eyes, coming across rather well in the 72 DPI resolution. Download this through formats like HTML and photoshop.